For travelling ambassadors, members of governments, senior civil servants, military commanders and managers, remote access via laptop/notebook to a central infrastructure and the data of their organisations is an integral part of daily work. In such cases, data exchanges can easily be tapped by unauthorized parties because they are generally conducted over an Internet access. This risk can be avoided by setting up a safe, encrypted connection (IP VPN Tunnel). 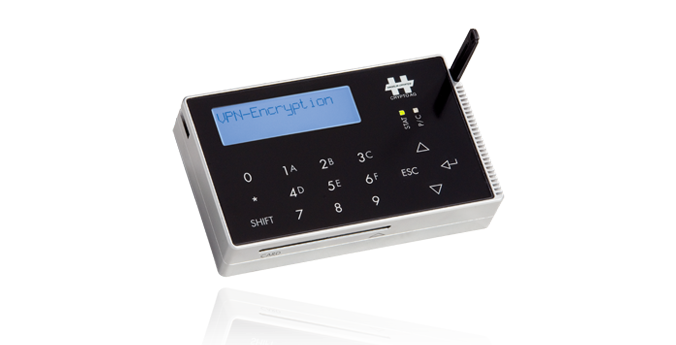 The IP VPN Client HC-7835 provides the perfect technical base for mobile users. Small and simple to operate, this unit can be utilised in multi-location operation with virtually any laptop or PC.